Cloud services have already become an essential part of our daily lives from web-based email accounts to storing and sharing photos, documents and music online. As technology and broadband speeds continue to improve, the internet has become a more reliable, central hub for information, universally accessible 24/7 from anywhere in the world. Cloud computing allows us to apply the convenience and accessibility of these services to the business environment, and will certainly have a large influence on the future of the industry. Support IT can help establish and maintain your cloud infrastructure, either offering hosted services on our platform or supporting you with leading suppliers such as Microsoft and Google. Support IT's own hosted platform allowing you to access a suite of hosted applications in our fully secure cloud infrastructure. Your very own dedicated hosted platform of which you have full control in order to utilize the resource to your suiting. Providing a mixture of public, private and physical solutions customized to the specific needs of your business. We host cloud services for many companies, therefore costs are shared and businesses only pay for what they actually use. Cloud services are based on out-of-the-box packages meaning hardware requirements and equipment expenditures. We are constantly monitoring and keeping our software up to date, adding new services and features instantaneously. Cloud services can be easily expanded or contracted to suit the requirements of your business at any given time. If there is a sudden growth and you need to rapidly scale up, this is a simple procedure. Cloud services allow for your business to be accessible from anywhere at anytime, offering the flexibility to use and share information just as you would at the office. Cloud backups are fast becoming the industry standard for ensuring your data remains safe. By backing up all data at a remote location, it remains secure in all contingencies. Our Cloud Backup service is a reliable solution to ensuring your data remains safe. 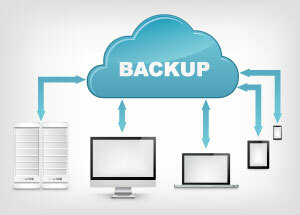 We will look after the backup for you and make sure it completes reliably each time, giving you peace of mind for the security of your business. Your data is encrypted so that only your company is able to access the data that we store. The service simply works, giving you one less concern with running your business. Using the Cloud Desktop service provided by Support-IT, you will have full portability without any impact on the production of you or your staff. We will be able to host a workstation for you at our data centre, and will allow you to securely log in to your own personal workspace. You will be able to access all your data, business applications and email through a powerful desktop, anywhere you have internet access. Security – You can be comfortable knowing your data is secure and safe, backed up by our Cloud Backup service. Flexibility – We will endeavour to meet your needs and supply any applications that your users will need. Usability – If you can use a Windows computer, you can use our service. Connection is simple, and once online, it behaves exactly like the workstations you are used to. Accessibility – If you can get online with a phone, tablet, desktop or laptop, you can work on our cloud workstations. Scalability – With a cost per user, you can be sure to find the service flexible to even the smallest businesses. We can manage your emails for you with none of the expense of running your own email server. As we offer price plans on a per user basis, you can be guaranteed a flexible, secure and convenient service. We will manage and look after your emails, contacts and calendars for you, taking the complicated work off your shoulders and allowing you to be fully productive. We can allow you to filter your emails through Symantec’s MessageLabs service, which will ensure that the emails you receive are fully checked for any virus infection. The service will also block spam emails from getting into your inbox, ensuring that the messages you receive are genuine and safe. Symantec provide a 100% assured service level agreement for virus protection and uptime, guaranteeing that the service will never let you down. Microsoft Office 365 will provide you with a cloud based solution to document creation and sharing. Using the Microsoft Office products that you are familiar with, the service will enable all members in your organisation to seamlessly create, share and work together. Office in the cloud provides a solution to working out of the office, giving you access to all of your documents wherever there is an internet connection. Or simply work from in the office as usual, seamlessly sharing documents from inside and outside your organisation. With a per user cost, the service is flexible and will suit the needs of even the smallest business. Google Apps for Business is a fantastic alternative to Microsoft, allowing you email, calendar, document sharing and backup without the need for your own server. All Google Apps features are cloud based, allowing you to work from anywhere there is an internet connection with zero fuss. Gmail for business will allow each user access to cloud based email. With 25gb storage for each user, emails will never need to be deleted or archived. Gmail’s organisation features and features help keep organised. Google Calendar will keep your workforce organised, with easily shared and accessible calendars, it’s very easy to keep track of the diaries of all members of staff. With Google Drive, your documents are shared without you needing a server, and all data is backed up off site by Google. Sage is the market leading accountancy software in the UK, run by a team of 200 qualified accountants and tax specialists. We can host Sage accounting software for you at our own data centre, allowing you to focus gaining the maximum benefit from the software without you needing to buy and maintain any additional servers or equipment. We can provide Sage Line 50 Online, allowing you, on a per-user basis, to access Sage Line 50 and all your data from the office, at home or travelling – anywhere you have access to the internet. Click here to be redirected to our Client Portal. For job applications and enquiries, Support IT are always interested in strengthening the team. Support IT have a great relationship with a broad range of reliable partners and suppliers.